Presenter Jobs>Other Presenter jobs>Co-host for an Awkward Comedy Podcast! Co-host for an Awkward Comedy Podcast! 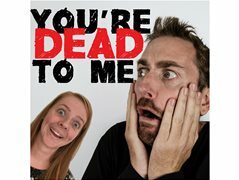 I host a weekly comedy podcast on iTunes and Spotify about awkward social interaction. After a year of wonderfully amusing conversation, my co-host will be leaving the show. I’m looking for somebody to take over the role on a permanent basis. The show is recorded once a week in Neutral Bay. You’re only required to be present for the recording of the episode (approx 1 hour, weekly). The recording day and time is flexible based on your schedule. A minimum commitment of 10 episodes is desired. Recording will commence early March! The ideal applicant will have a great sense of humour and doesn’t mind a bit of dark humour. It’s a chat show, so no scripts, just real conversation! I’m looking for somebody who can bring their own personality to the show. If you’re somebody who can laugh at the awkward moments in life, then this might be just what you need! Recording commences early March in Neutral Bay. 1 day/evening per week (required for approx 1hr weekly). Flexible based on schedule. Minimum commitment of 10 episodes. Sense of humour is a must! I want somebody who can bring their own personality to the show. No experience required, just a good attitude and ready to have fun!